If you haven't heard, there is something called "social network marketing" now, basically using (hopefully not abusing) social networking sites such as Facebook and MySpace to make noise about you, your services, etc. I would think that the right column is a little too specific, but the left column could probably be considered as a must-have for any online presence, regardless of geo location or niche interests. 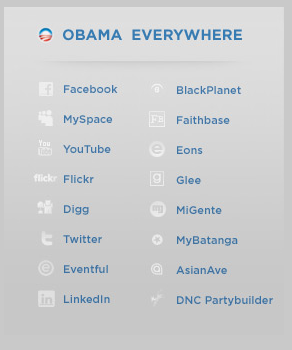 Do you have (and actively use your) profiles on all of these sites?